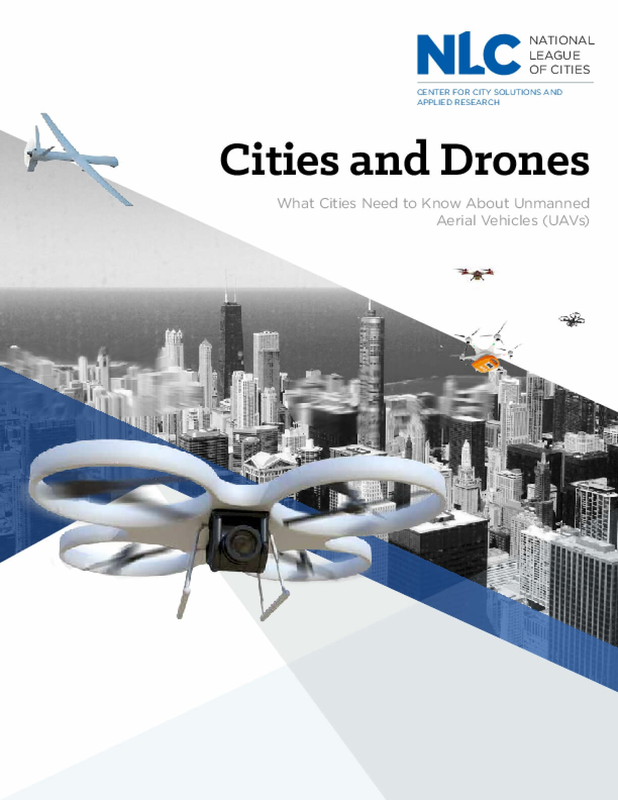 NLC's municipal guide, Cities and Drones, is designed to serve as a primer on drones for local officials, providing insight into the recently released federal rules relating to drone operation, as well as offering suggestions for how local governments can craft their own drone ordinances to encourage innovation while also protecting their cities. Drones have the potential to revolutionize many industries and city services, particularly as their technology advances. There are many applications for drones within the public sector at the local and state level. Drones can be used for law enforcement and firefighting, as rural ambulances, and for inspections, environmental monitoring, and disaster management. Any commercial arena that involves outdoor photography or visual inspection will likely be experimenting with drones in the near future, as will retailers who want to speed up package delivery. However, drones also present challenges. There are some safety issues, for instance, when operators fly their drones over people or near planes. City residents often have privacy concerns when any small device hovering nearby could potentially be taking photos or video. The FAA's final rule on drones left some opportunity for city governments to legislate on this issue. Rather than ban them outright, city officials should consider how this new technology might serve residents or enhance city services. Copyright 2016 by National League of Cities Center for City Solutions and Applied Research. All rights reserved.